100% Alpaca yarn spun from the grey blankets of sister Alpacas Jolla and Francesca. 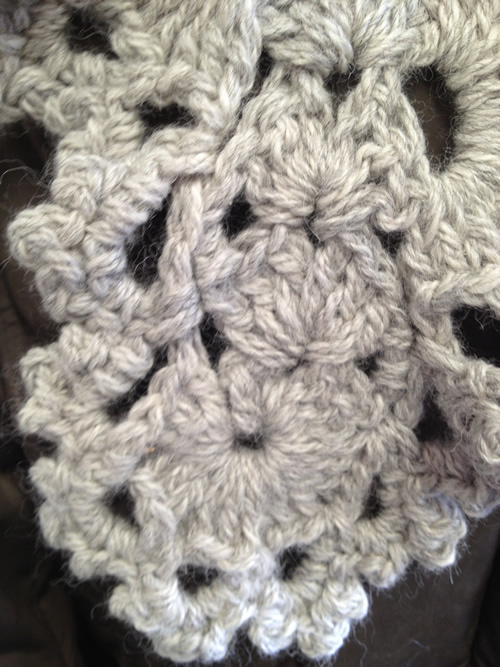 Hand Crocheted Alpaca, hand wash, cool water, mild soap, dry flat. 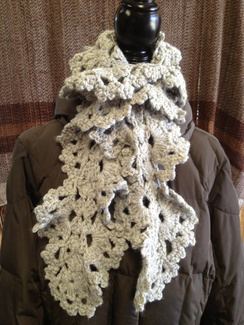 This is a Hand Crocheted 100% Alpaca scarf. It is soft, comfortable and warm protection in all kinds of weather. This scarf was created by Pam for Linda's workshop in Clovis, California. Each scarf is one of a kind.